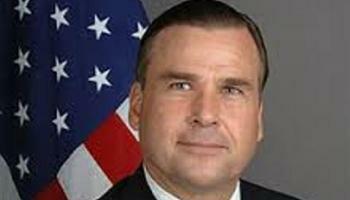 The spokesman for President Muhammadu Buhari reelection campaign, Festus Keyamo, on Monday accused the US ambassador to Nigeria, Stuart Symington of bias in his utterances over the forthcoming general election in Nigeria. Keyamo made the accusation while reacting to Symington’s warning to public officials not to obey illegal directives issued in the name of the president, saying any politician whose utterances incite people to violence would be held to account for the crime. The Senior Advocate of Nigeria further alleged that these statements by the America envoy imply that the Nigerian government is inclined to rig the election in favour of President Muhammadu Buhari, saying this is unfair and unacceptable as President Muhammadu Buhari has never been accused of electoral malpractice all his life.